Veins into the marrow of my bones. My feet, my whole being. With a vengeance like a dark cloud. Mesmerized by the overwhelming chill. Especially, as well, a warm comforter. In this novel by Xiaolu Guo, Twenty Fragments of a Ravenous Youth in Beijing, a restless young woman leaves her poor dusty village in Zhejiang province to find her fortune in Beijing, where she lands up working as an extra in the film industry. 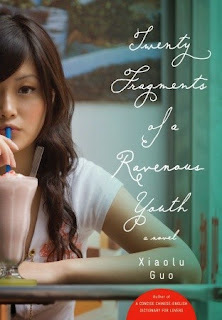 Life in modern Beijing and modern China for a young woman, as she travels to Xian, the home of the terra cotta warriors, and to a poor city in Manchuria, where the last emperor Pu Yi lived as a virtual prisoner of the Japanese in the last days of the Qing Dynasty. Like all Beijing residents from the countryside, she spends three days and nights on a train returning to her village for the Chinese New Year, where she eats "longevity noodles" and listens for several days to the sounds of firecrackers. In her love life, there is a possessive young man in Beijing, who won't let go of the relationship as she moves out of his apartment and asserts her independence. A new American boyfriend doing research in China for his Ph.D. is part of her move to independence from tradition, but he returns home soon. We follow her hectic emotional journey till in the end she finally reaches the place she wants to be. Beijing moving fast to modernize - shoddy buildings and garbage strewn alleys, and a changing culture. Left Coast Crime 2009, March 7-12, 2009, Hawaii has announced its nominees for best mystery book awards; winners will be announced at the LCC Hawaii conference on March 11. Can't go to the conference? 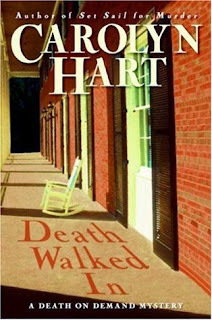 You can visit their official website for a list of mystery novels set in Hawaii. The anteater is not really a pet, only to a zookeeper who would rather feed and take care of zoo animals than do anything else. 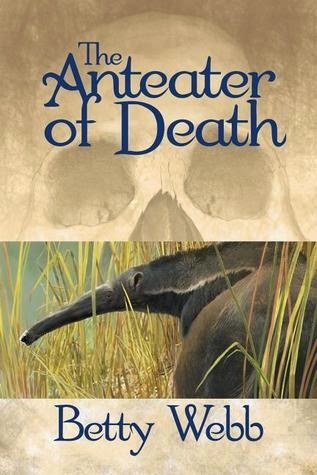 In The Anteater of Death by Betty Web, the mystery surrounds a dead man found in the bushes in a giant anteater's exhibit in a small private California zoo. Having established that the man was shot and had died before he was pawed at by the anteater's four inch claws, the zookeeper must now try to find out why and who killed the man, a member of a prominent family with properties that include the private zoo. Our heroine is unconventional, shuns the lifestyle of her wealthy mother, loves being a zookeeper, and lives on the harbor in a 30-foot diesel boat she inherited from her father. The author did her research at the Phoenix Zoo, where there really is a giant anteater that loves to eat mashed bananas. Did I say that anteaters aren't used as pets? Well, holy Moses, they are! Just visit this website on Pua the Anteater, somebody's pet, a blog with pictures of a Tamandua anteater walking on a leash, dressed in a shirt, standing on the sofa, and so on. Tamanduas are medium sized anteaters, distinct from the pigmi variety or the giant anteater featured in The Anteater of Death. All anteaters are rare, I understand, but only the giant anteater is endangered. Otherwise, no one would be allowed to have one on a leash! Lulu in Marrakech by Diane Johnson, 2008, is an enjoyable armchair travel to Morocco, shrouded in mystery and secret agents. 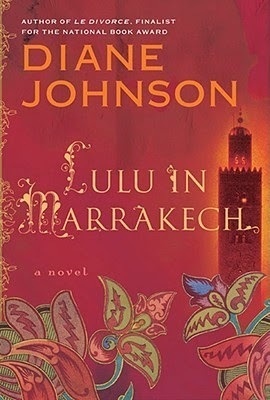 Lulu is sent to Marrakech, ostensibly to visit her lover Ian who is a businessman and investor there, but in reality to spy on Ian's guests, friends, and the Moroccan scene in general. Love gets in the way of Lulu's resolve, but she follows through with her tasks on finding and reporting information, and comes away with regrets, questions, and the realization that her life, now compromised, would only be more of the same, whether in North Africa or in London, her next assignment. The novel's subplots surround the contrast between Western and Middle Eastern women, women in purdah, and women of both cultures who attempt to find independence in their lives. The author was a finalist twice for the Pulitzer Prize and a finalist three times for the National Book Award, for her previous books which include Le Divorce, Le Mariage, and L'Affaire. I'm hooked. I have to get and read those books. Cocooning Book List No. 4 for bibliophiles, tea and coffee lovers, and cut flower enthusiasts. Cocooning Book List No. 3 - for those who would rather read about something less present and alive (see lists 1 and 2). 3. Deborah Morgan, The Majolica Murders, antique lovers mystery. 4. Jane K. Cleland, Consigned to Death, antique lovers mystery. 5. 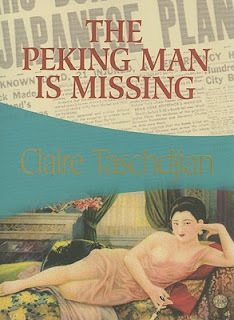 Claire Taschdjian, The Peking Man is Missing, paleontology mystery set in China. 6. Dana Cameron, A Fugitive Truth, archaeology mystery. 7.Michael Pearce, Night of the Pasha: A Mamur Zapt Mystery, Egypt in the early 1900s. Here is Cocooning Book List No. 2. This one has pet/animal/veterinarian themes. 2. Murder with Peacocks, Donna Andrews (recommend this one as a very funny book). 3. Stud Rites, Susan Conant, malamute owner. 11. The Anteater of Death, Betty Web, a Gunn Zoo zookeeper mystery. 13. Cat mysteries by Carole Nelson, Rita Mae Brown, Garrison Allen, Lillian Jackson Braun, and Shirley Rousseau Murphy. (Some of these authors write about very cute talking cats). Somehow I can't get excited about cats that talk. Dog writers don't have their pets conversing in human as cat writers do. Maybe that's because dogs are natural, super nonverbal communicators. At the suggestion of a friend and loyal blog reader, I am putting together a list of mystery books I recommend for winter reading. It's called my Cocooning Book List --- for those who would rather stay indoors and read rather than go downhill skiing, snowboarding, ice skating, cross country skiing, sledding, tobogganing, or walking around in the parks. Okay, so maybe going out and exercising is better... sometimes. However, you may also enjoy these. 1. Ann Ripley, Death of a Political Plant and Mulch, with excellent gardening tips. 4. Michelle Wan, The Deadly Slipper < and The Orchid Shroud are set in the Dordogne region of France and the world of exotic orchids. 5. Susan Orleans, The Orchid Thief, a non-fiction book. 6. Frank Kingston Ward, In the Land of the Blue Poppies, non-fiction book on searching for plants in the Himalayas. My favorite garden mystery writer is Ann Ripley, not only for her excellent plots but also for her gardening tips and suggestions. I also recommend John Sherwood. 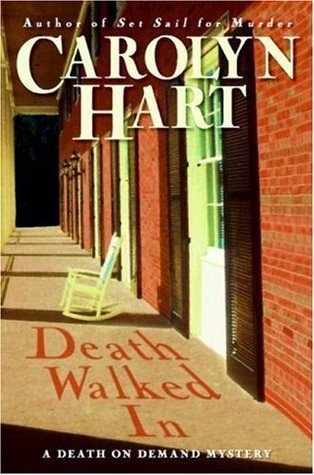 Carolyn Hart's Death Walked In, 2008, is an uncommonly good mystery, with an idyllic island setting, interesting characters, and a well turned plot. I only guessed one of the perpetrators of the crime in the second to last chapter, and predicted the second crime in the second half of the book. Main character Anne runs a mystery book store on the island; her husband Max is a private investigator who does the gourmet cooking in the household. Her mother in law and her friends provide more interest to the group of island residents, as do her two cats, the aggressive sharp-clawed Agatha and the gentle Dorothy L., both named after, you guessed it - mystery writers. In the plot, several valuable Civil War gold coins are stolen, two people are killed, and Anne and Max try to solve the crime and find the location of the coins, which have been hidden in the Franklin House, a two hundred year old dilapidated mansion they are in the process of refurbishing as their new home. There are some scary moments. I always wonder why writers have their characters make risky decisions - investigate on their own rather than call the police or waiting for backup before they head for danger. But this adds to the suspense! I give this mystery five stars!! Learned more about the missing Peking Man fossils which disappeared in China in 1941 on the way to the U.S.S. William Harrison, a U.S. troopship that would have taken the 600,000-year-old fossils to the United States for safekeeping. The novel, The Peking Man Is Missing by Clare Taschdjian, was first printed in 1977 and reprinted in November 2008, and is based on the author's personal experience in China. She claims to be one of the last persons to have seen the fossils, which were crated and transported, but eventually lost though under the protection of the U.S. Marines. Because of the wartime situation, the human fossils, originally discovered near Beijing in the 1920s, never arrived at port and could not be traced, and the question remains - What became of them? Were they destroyed, thrown away, or are they in Japan, in the United States, or still in China? Rumors and theories abound - one theory is that the crates of fossils were opened by the Japanese who had stopped the train heading to the USS Harrison, that the fossils were seen as remains of U.S. soldiers, and thrown out. An ironic and sad end, if it is true. Taschdjian's book, a work of fiction, presents a hypothetical situation - it has the fossils traveling from China by footlocker and by trunk to Cuba, and then to the U.S., where they are eventually thrown away by a superstitious landlady who found them in the apartment after the untimely death of her tenant. The landlady had no idea that the bones were priceless fossils, as she thought her former tenant was a witch who used human bones for her witchcraft. Another ironic twist to this tale. It remains one of the great mysteries in the history of paleontology. What became of Peking Man? It is generally assumed that the Peking Man fossils are perhaps forever lost, even though the governments of China, Japan, and the Americans, have tried unsuccessfully to locate them.